iSkysoft DVD Creator for Mac is professional video to DVD burning software to convert popular video formats including AVI MOV 3GP WMV MP4 TS TP TRP M2TS FLV F4V ASF MOD M4V (without DRM protection) etc. to DVD on Mac OS X. It also allows you to specify NTSC or PAL, set 4:3, 16:9 or full screen display size; edit video files by trimming, cropping and adjusting effects; create customized DVD menu with built-in Dynamic and Static templates. 1.Mac OS X v10.5 or above(including Mac OS X v10.6 Snow Leopard) 2.At least 512M physical RAM. ...... You can also create a customizable menu with various built-in Dynamic and Static templates. It allows you to specify NTSC or PAL color-encoding, adjust 4:3 or 16:9 or full screen video aspect ratio, set after done actions, and burn DVD movie disc, DVD folder, ISO files or .dvdmedia. 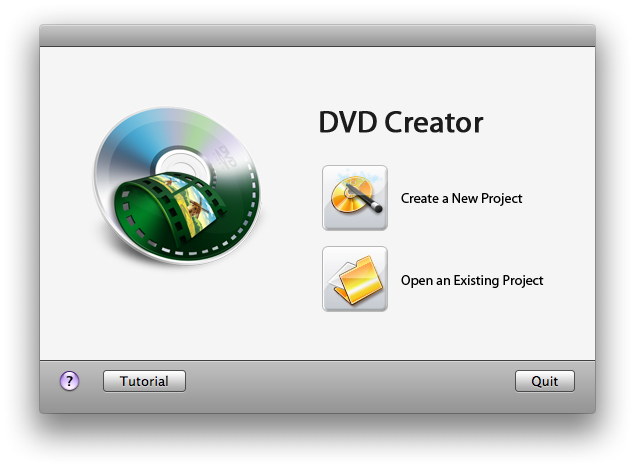 The DVD creator also provides saving or importing Project File again for burning or further editing. iSkysoft DVD Creator for Mac supports abundant DVD formats, including DVD5 / DVD9; DVD-R, DVD+R, DVD-RW, DVD+RW, DVD+R DL, DVD-R DL, DVD-RAM.This Mac DVD Burner can burn DVD movies to be playable on portable and home DVD players.Download iSkysoft DVD Creator for Mac for free and enjoy making your own DVDs! Qweas is providing links to iSkysoft DVD Creator for Mac 3.6.0 as a courtesy, and makes no representations regarding iSkysoft DVD Creator for Mac or any other applications or any information related thereto. Any questions, complaints or claims regarding this application iSkysoft DVD Creator for Mac 3.6.0 must be directed to the appropriate software vendor. You may click the publisher link of iSkysoft DVD Creator for Mac on the top of this page to get more details about the vendor.